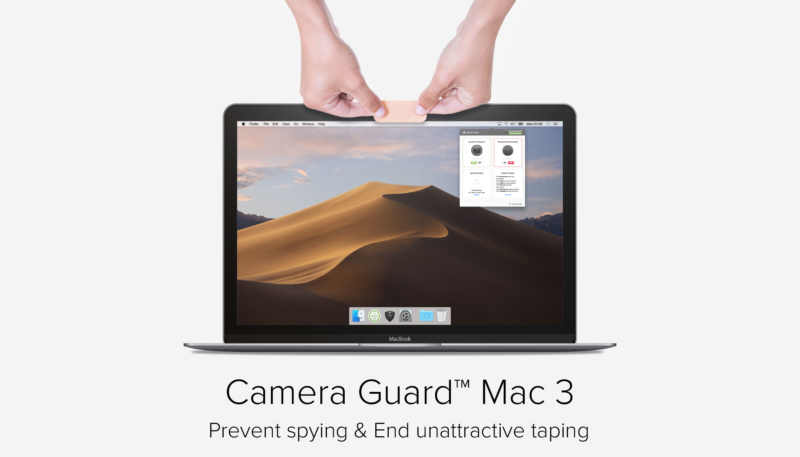 On the heels of Apple’s Group FaceTime security fiasco comes the release of ProtectStar’s Camera Guard Mac 3, the new version of their popular security software solution created to protect any Mac’s webcam and microphone against access by hackers, spies, or malware. Version 3.0 brings improved protection against unauthorized access to the Mac microphone and webcam, plus it now allows users of shared Mac computers to easily PIN protect any app on their Mac. The app sits quietly in the background, monitoring the Mac’s webcam and built-in microphone, staying alert for any unauthorized access attempts. The app blocks any attempts, alerting the Mac user to any attempts. The app blocks both known and unknown attacks. Camera Guard Mac 3 Professional is $19.90 and includes 12-months of updates/upgrades and technical support. A Care Plan option is also available for $49.00 USD, and includes 3-years of updates/upgrades and premium technical support. For more information or to purchase Camera Guard Mac 3, visit the ProtectStar website.